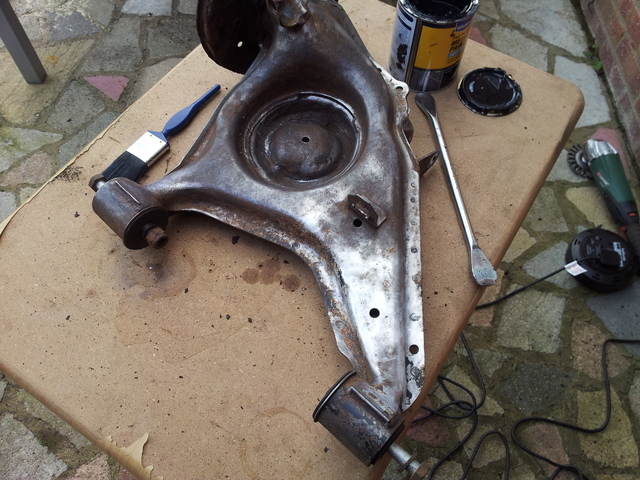 I had a rather filthy day with the Cinquecento, my main focus being on cleaning and painting the trailing arms, along with grinding back some of the rust on the car, so that I can assess how much new metal needs to be welded in. 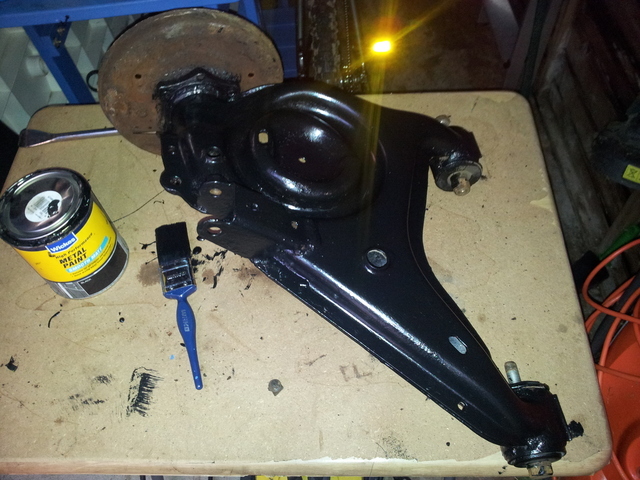 First up was the trailing arms, although due to the constant heavy down pours of rain, I only managed to get one cleaned and painted as space is rather limited in the garage at the moment so I had to do them in the garden. 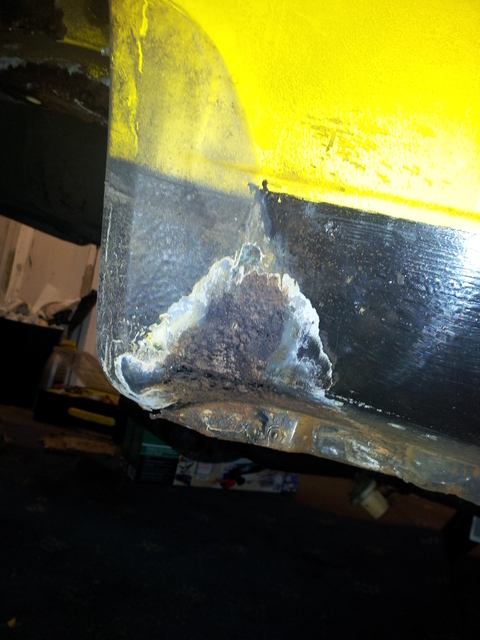 After a going over with a wire brush on an angle grinder we had this. I do appologise for the poor quality of the after photos, only I had to move to the shed as the heavens opened ! The observant will notice I didn’t paint the brake back plate, this is because I have decided to replace them due to corrosion creating a few extra holes, only I forgot to remove the hub nut and couldn’t get them off without the arm bolted to the car, DOH ! I then moved in to the garage to clean the rust from the holes shown in my previous post. It was actually quite a relief to see some nice shiny metal, as I though the rust was going to go on forever, leaving me with nothing to weld to. This back corner appears to be completely solid which I was surprised about, as it had a fair amount of rust which turned out to be just on the surface. 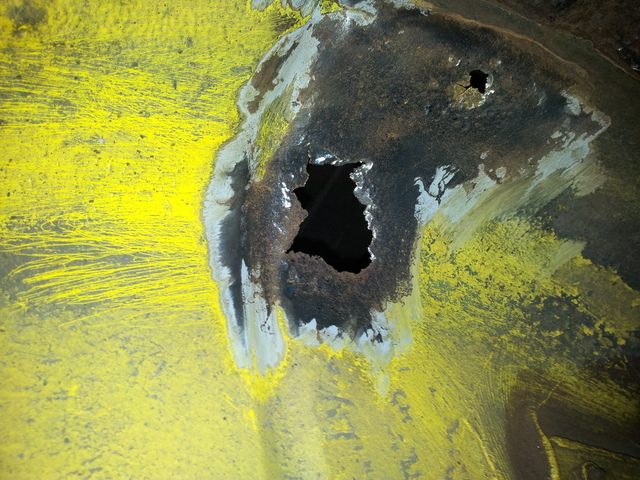 Unfortunately I did manage to create a couple of more holes on the inside of the wheel arch, as the rust had completely gone through to the inside of the car. 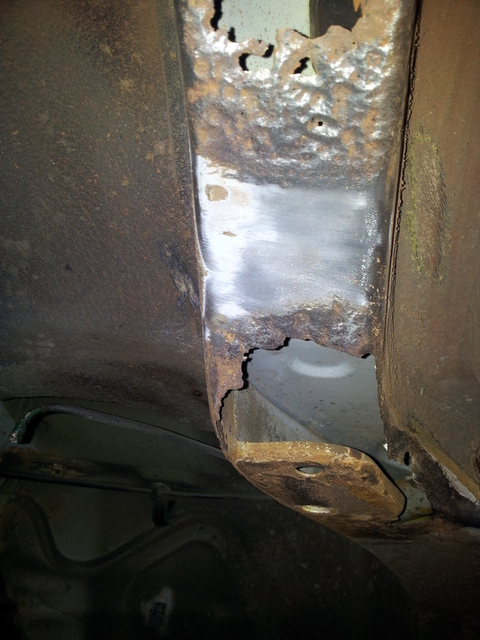 A couple of small plates welded in should sort this out. The holes underneath didn’t grow much in size when attacked with the grinder, which was a relief. 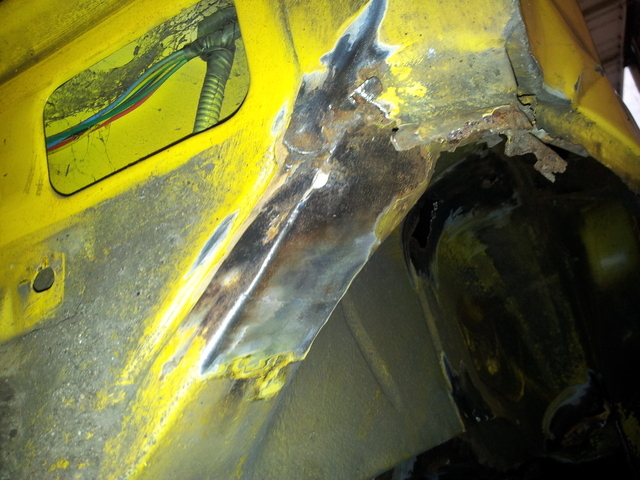 Do you think I will have to cut out the pitted metal, or would a rust converting product from the likes of Frost make it safe to leave in and weld to ? This looks worse than it is as a lot of what appears to be rust is just griding dust I forgot to wipe off. Even the inner wheel arch actually has some solid metal ! 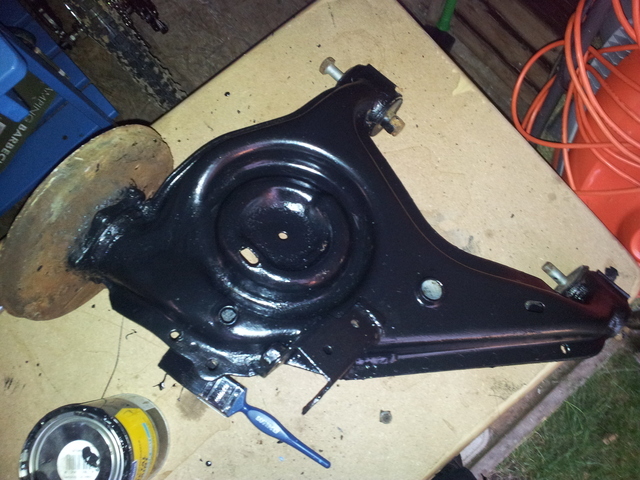 I might get away with a few repair panels, rather than trying to fabricate a complete inner wheel arch. I still need to get in there a bit more though with the grinder. 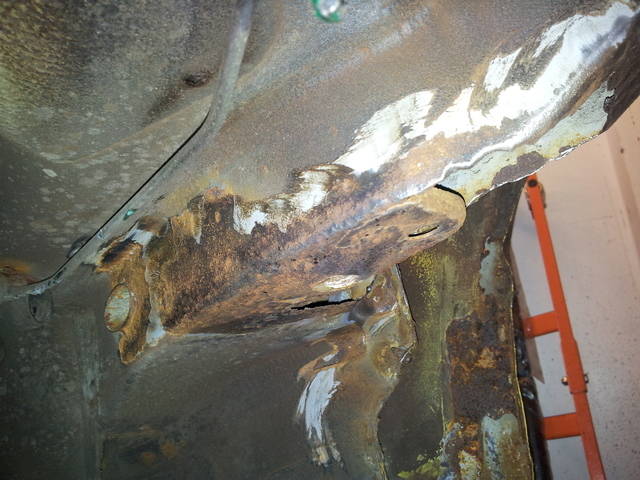 The only section which was worse than I expected was the outer lower arch, the plastic cover has held moist dirt on to the metal causing this corrosion, there is a tiny hole which you can’t even see in the photo which needs filling, I reckon it could be filled with a splash of weld ? All this and I haven’t even properly looked at the near side, hopefully it won’t be quite as bad ! 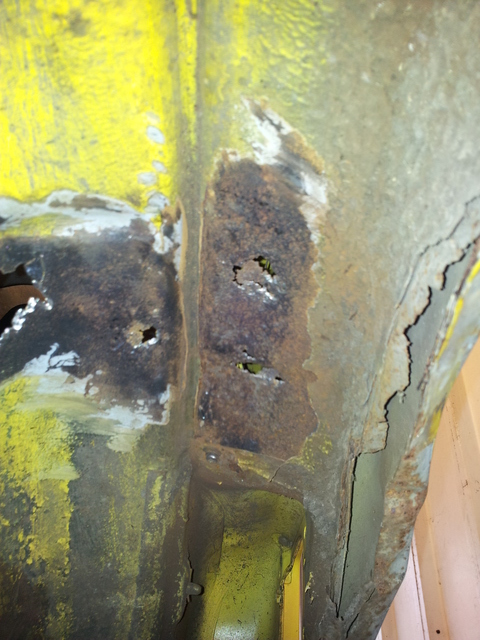 Although I have to say it is nice to see where the rust stops and that it should be repairable with a few long sessions with the MIG welder. 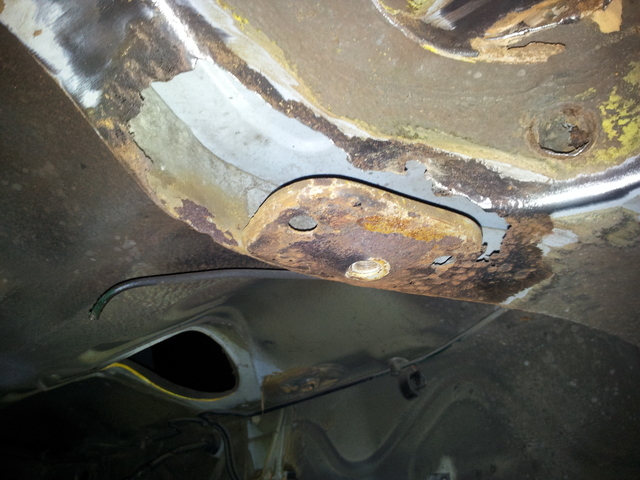 I cannot wait to start welding the new metal in, and then get some quotes to have the crash damage repaired.